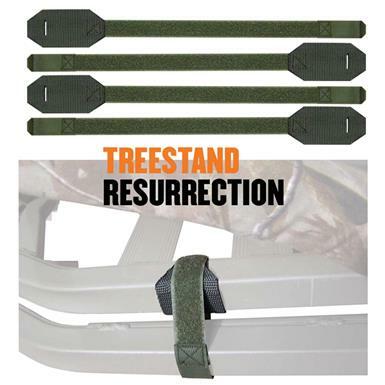 Strap down and tighten up your tree stand. No more rattle! Secure your tree stand, climbing sticks or other gear for quiet transportation and performance with this 4-pk. of Cottonwood Outdoors Lok Down Tree Stand Straps. All-fabric construction with pass-though tag on one end provides extreme leverage, so you can pull them tight.